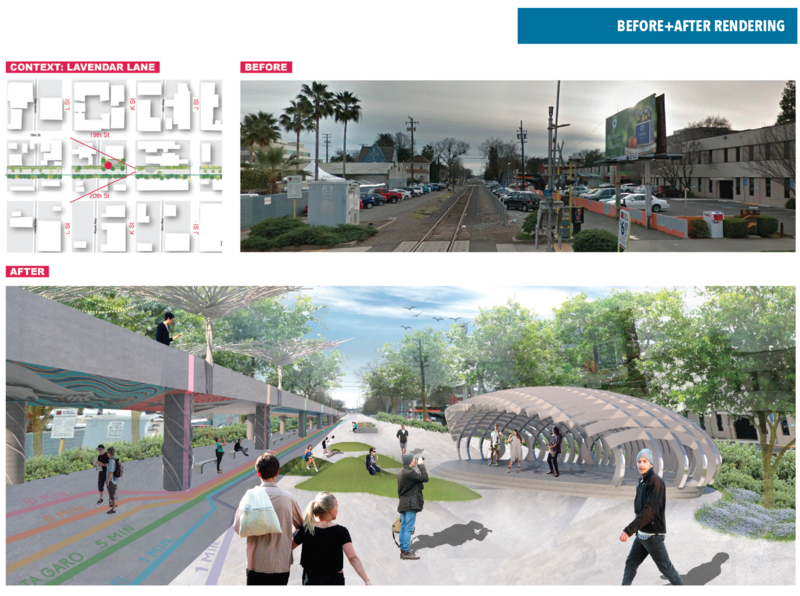 Kimberly Garza led 10-week intensive UC Davis design studio to critically examine the proposed passenger rail line through the heart of Midtown, Sacramento. 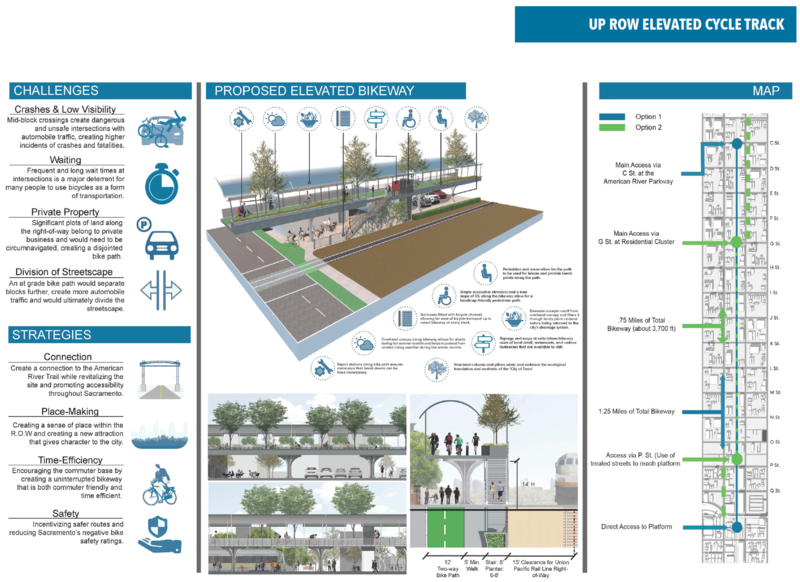 Amtrak San Joaquins and ACE Rail are jointly planning a new passenger rail service to Sacramento with proposed stations at Sacramento City College, Midtown, Old North Sacramento, and Natomas. 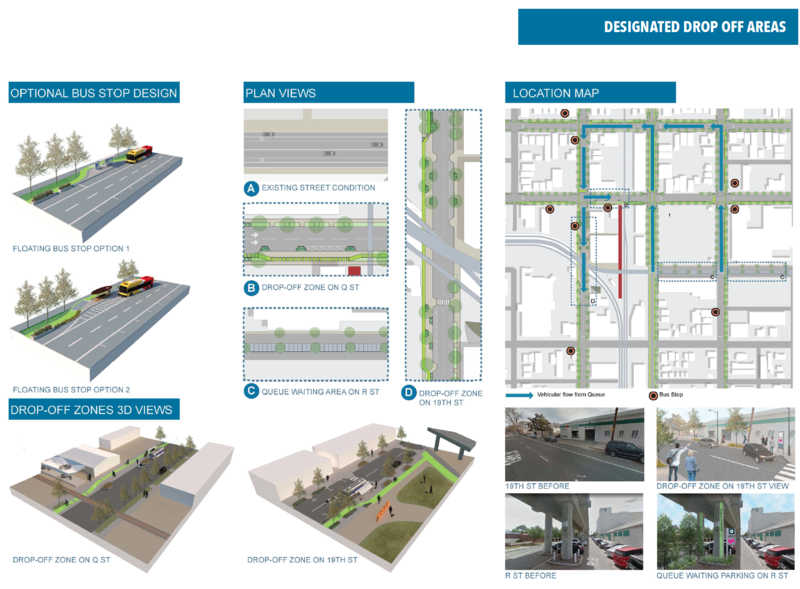 In response, the San Joaquin Rail Commission, KP Public Affairs, AECOM and Cobblestone Placemaking (professional design team) have partnered with the University of California, Davis – Center for Regional Change and Department of Human Ecology – Landscape Architecture students to analyze the potential for a Midtown Passenger Rail Station and develop a range of urban design scenarios to inform future planning and design. 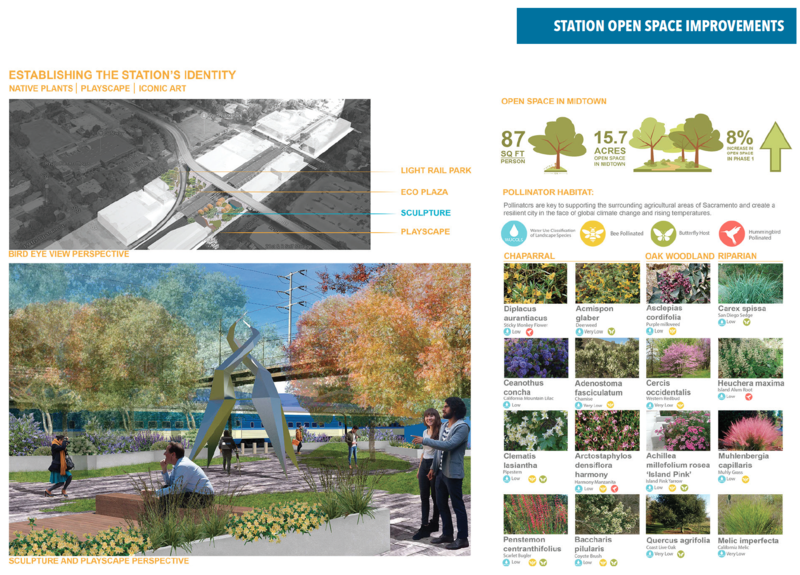 Through lectures, studio problems, research projects, and discussion, students focused on developing urban form along a proposed passenger rail line in downtown Sacramento—driven by social, political ecological, and environmental dynamics. 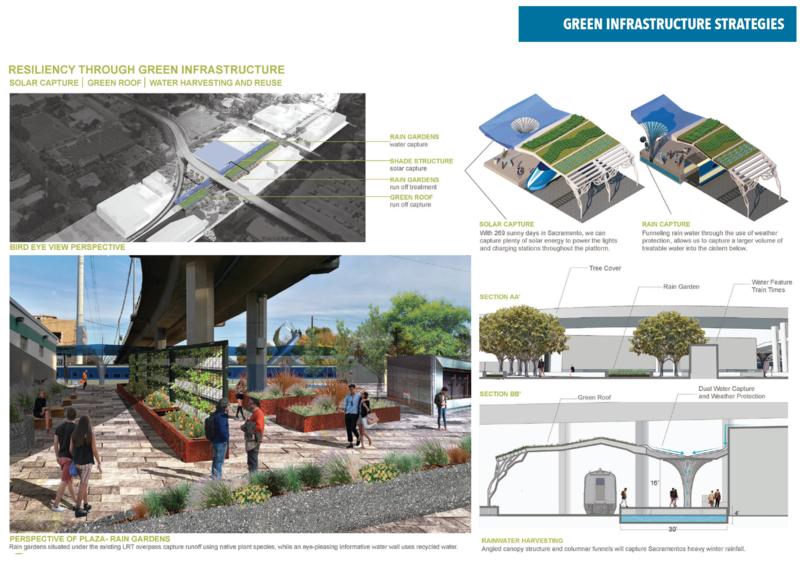 A landscape architecture design studio led by UC Davis Lecturer and Design Professional Kimberly Garza, students were asked to produce innovative urban frameworks that support richer urban experiences in the built environment. 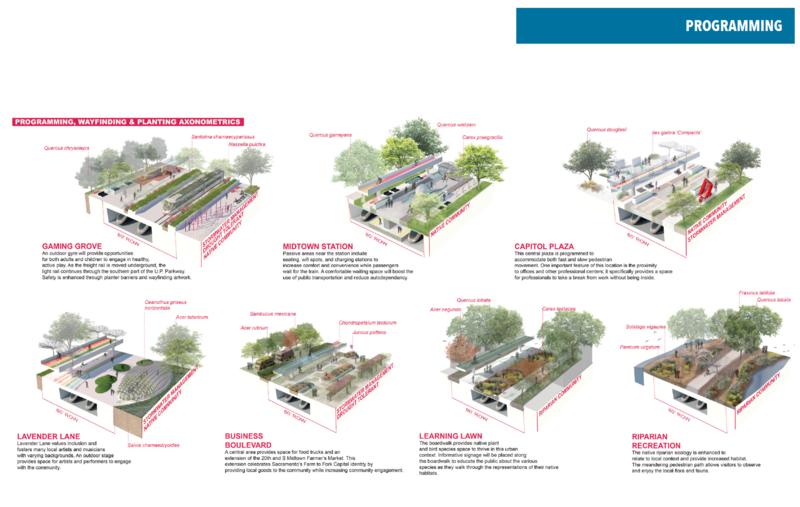 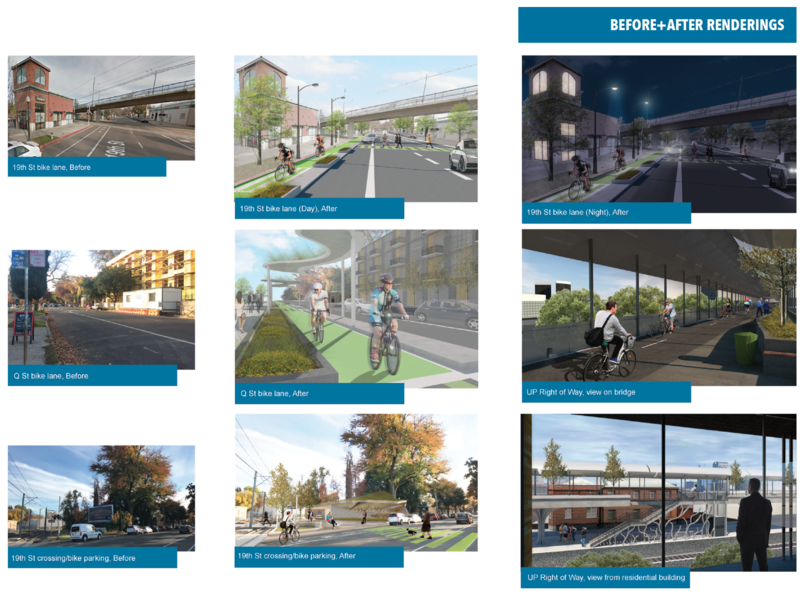 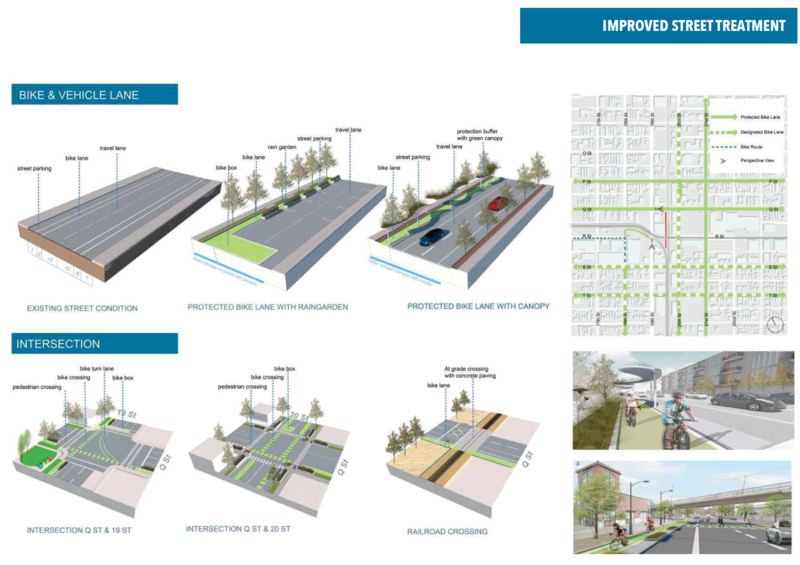 Throughout the intensive 10-weeks design studio, students assessed constraints and opportunities, analyze TOD and neighborhood revitalization benefits, and developed concepts for the Midtown Station and its associated bike and pedestrian connectivity. 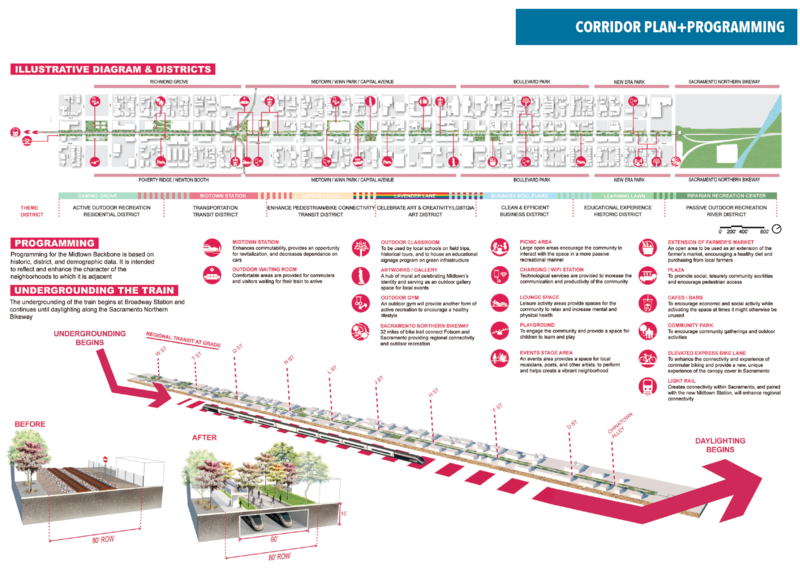 The studio built on current efforts by ACE and confronted the challenges posed by: (1) an auto dominated landscape that makes it difficult for alternative forms of transportation to co-exist, (2) vacant and underutilized sites that weave along the corridor, and (3) a lack of public gathering spaces and other amenities to serve adjacent neighborhoods.